There are ongoing concerns that conception through infertility treatment may negatively impact the development of offspring. But a new study hopes to alleviate these concerns, after finding that children conceived thorugh infertility treatment were at no higher risk for early developmental delays than those who were not conceived through such treatment. Edwina Yeung, PhD, of the Eunice Kennedy Shriver National Institute of Child Health and Human Development (NICHD) – part of the National Institutes of Health (NIH) – and colleagues publish their findings in JAMA Pediatrics. According to Centers for Disease Control and Prevention (CDC), around 1.5% of all infants in the US are conceived using assisted reproductive technology (ART), such as in vitro fertilization (IVF). Previous studies have suggested such treatment may lead to developmental problems among offspring; Yeung and colleagues point to a 2013 Swedish study that identified an 18% greater risk of intellectual disability among children conceived through a form of ART called intracytoplasmic sperm injection (ICSI). However, many other studies have found no such association. Additionally, the researchers note that few studies have assessed how non-ART infertility treatments, such as ovulation induction (OI) – the stimulation of ovulation through medication – impacts the risk for developmental delays among offspring. “In response to critical data gaps, we designed the Upstate KIDS Study to specifically assess the association between the mode of conception and children’s development through age 3 years,” say the authors. The Upstate KIDS Study involved 1,422 mothers of 1,830 children who were conceived through infertility treatment and 3,402 mothers of 4,011 children who were not conceived through such treatment. All children were born in New York State between 2008-2010. The team notes that parents of twins and other multiples were included in the study, and there were around three times as many singleton children in the non-treatment group than the treatment group. Four months after the mothers gave birth, they were asked to complete a questionnaire detailing the type of infertility treatment they underwent. 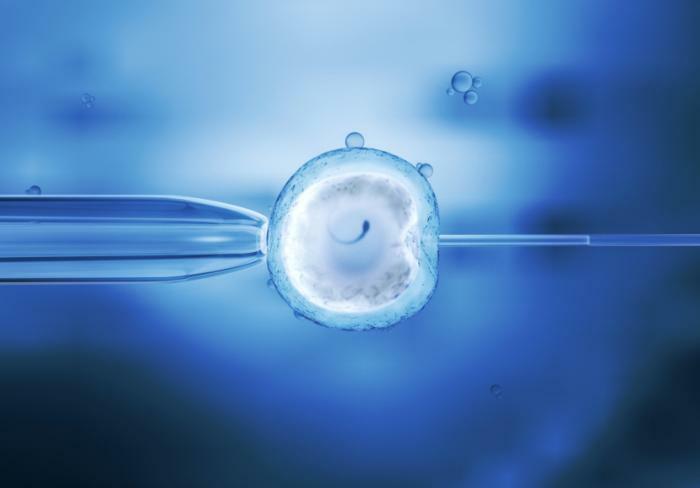 These included ART treatments, such as IVF, frozen embryo transfer, assisted hatching and zygote intrafallopian transfer, and the non-ART treatment OI, with or without intrauterine insemination (IUI). When the children were aged 4-6, 8, 12, 18, 24 and 36 months, their mothers completed a questionnaire that was used to identify developmental disabilities. Specifically, the questionnaire was used to assess children’s fine motor skills, gross motor skills, communication, problem-solving abilities and personal and social functioning. Overall, the researchers found there was no difference in the risk of developmental disabilities between children conceived via infertility treatment – regardless of ART or non-ART treatments – and those who were not. Accounting only for children who were conceived via ART, the researchers found they were more likely than those in the non-treatment group to have developmental delays; they were most likely to have difficulties with problem-solving and personal and social functioning. However, when the team accounted for the significantly higher number of twins in the ART group – after noticing twins were at higher risk of developmental problems than singletons – there was no difference in the risk of developmental disabilities between children conceived through ART and those in the non-treatment group. Additionally, the researchers found no difference in the percentage of children who were referred for assessment by developmental specialists between treatment and non-treatment groups. Among children who were diagnosed with a developmental disability aged 3-4 years, the researchers identified no significant differences between those conceived through infertility treatment and those who were not. Science has proven how exercise can improve weight loss results as well as reduce the risk of developing some chronic diseases, but could working out also improve the health of your brain and make you smarter? “We know exercise can stimulate the growth of brand-new brain cells in the hippocampus, and because we know that the hippocampus is important for long-term memory and imagination, this suggests that exercise can improve not only memory function but our creativity as well,” Dr. Wendy Suzuki, a neuroscientist and professor at New York University and author of “Healthy Brain, Happy Life,” told FoxNews.com. Most studies on the effects of exercise have been done in the elderly, but Suzuki wanted to see if exercise could change the brains of young and healthy adults. She set out to learn whether that was possible by studying her students at NYU. After getting certified as a group fitness instructor, Suzuki told her students they would be actively participating in the research process. She would teach ‘intentional exercise,’ a type of class similar to intenSati, where you make exercise aerobic and mental by yelling positive affirmations or mantras like “I am strong” or “I am powerful” while exercising. “Each class was one hour of me teaching them aerobic exercise, followed by an hour and a half lecture discussion talking about and telling them about what exercise was doing to their brain,” she said. Suzuki would also test her young participants with a memory-encoding task at the beginning and end of the course. The task was designed to clearly show the function of one section of the hippocampus. “I tested students on a challenging memory task that required them to differentiate between similar-looking objects in memory. I found that one semester of increased exercise in my class improved their response times for correctly answered questions. In other words, they answered correctly more quickly if they were in my exercise class compared to if they were not in the exercise class,” Suzuki said. Even though her research was on young students, exercising can improve the health of your brain at any age, Suzuki said. Like in most types of chronic disease, stress can have detrimental effects on the brain. Long-term stress can affect several areas of the brain, including the hippocampus, the prefrontal cortex— which is essential for cognitive abilities like the working memory, decision making and flexible thinking— and the amygdala, which is responsible for the response and memory of emotions, especially fear. To protect yourself from brain cell-killing stress, Suzuki refers to exercise. “We know if you put animals on exercise, you can help protect their brains from lots of stress that you can give them, but not only that— if animals are already stressed and you put them on an exercise program, you can regrow these brain areas that are being attacked by stress hormones in the blood stream,” she said. Aside from exercise, Suzuki believes we can exercise our brain with what she calls simple brain hacks that can enhance certain functions. The baffling case of a woman who was arrested for DWI without drinking has spotlighted a rare condition called “Auto-Brewery” syndrome, where the digestive system becomes its own tiny brewery. The woman was able to get the charges dismissed after her lawyer presented evidence by a doctor that she had the rare syndrome, according to the AP. The syndrome causes substances in the gut to ferment food into ethanol, thereby causing a person’s blood-alcohol level to spike. While the story of food-turning-to-alcohol in the body may seem like a convenient tale for the police, doctors have found the rare condition in multiple patients. As a person’s blood-alcohol level rises, he or she can exhibit all the same symptoms as someone who drank too much liquor, including slurred words and confusion. In one case, the patient said that alcohol could be smelled on their breath. Dr. Richard Peek, a professor of medicine and cancer biology at Vanderbilt University Medical Center, said the cause of the symptoms is not fully understood although there is one likely culprit. Peek said the alteration of the gut’s bacteria, called the microbiome, has far-reaching effects with auto-brewery syndrome being one of the most drastic results. Peek said more study was needed to pinpoint the exact cause and find a cure that works for all patients. While most people will not end up with a tiny “brewery” in their gut, Peek said anyone can face an alteration of their micrombiome, due to illness, antibiotics or other conditions. He recommended a good diet, exercise and occasional probiotics to achieve a healthy microbiome. Is your New Year’s resolution to eat more healthily? 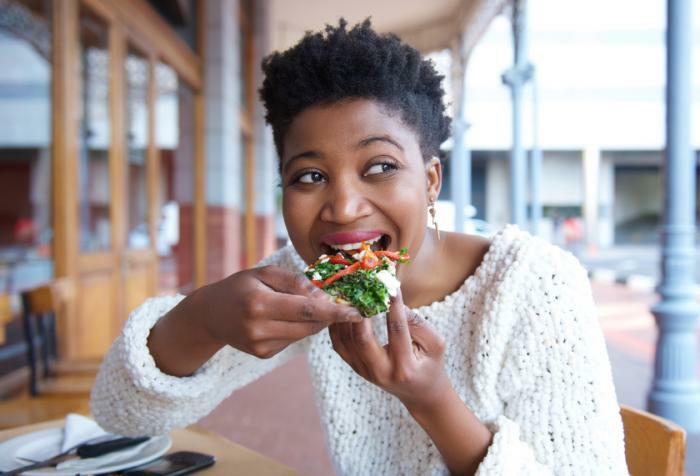 If so, watch out: foods portrayed as healthy may lead to overeating and contribute to weight gain, according to new research. In the cookie experiment, researchers found that participants who consumed the “healthy” cookie reported greater hunger after eating than those who consumed the cookie portrayed as unhealthy. Interestingly, even individuals who did not believe in the theory that unhealthy foods are less filling – as determined by the Implicit Association Test – reported greater hunger after consuming the “healthy” cookie and ordered and consumed more food when it was portrayed as healthy. According to study coauthor Jacob Suher and colleagues, from the University of Texas-Austin, their findings support the “healthy equals less filling” theory – the idea that we consume healthy foods in larger amounts because we consider them less filling than unhealthy foods. In a third “real world” experiment involving 72 undergraduate students, the team assessed how health portrayals of food affected the amount of food participants ordered prior to watching a short film, and how such portrayals impacted the amount of food consumed during the film.